all content » Headache and fatigue– am I dying? 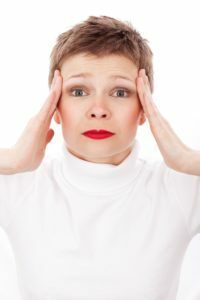 Headache and fatigue– am I dying? You’ve been tired 😴. You have headaches. You feel crappy. It’s got to be something awful, right? You pop onto Google, search for headache and fatigue, and suddenly you’re self-diagnosed with a brain problem. Do I really have cancer? It’s a common worry. Once you think it, it’s hard to unthink. Suddenly, you are deep into the internet reading about the scariest and most rare conditions. Suddenly, you have a brain tumor. Could this just be something else? Something simple? Don’t let the internet scare you! We can help. Let’s talk fatigue. People are 💤. This generation is a go go go generation. We’re always doing something, we’re always saying yes and always planning another event or activity. We don’t leave much time for ourselves and when we do have time, the first thing most of us do is pick up our phones and aimlessly scroll, “like,” double tap and swipe. It’s easy, it’s mindless, it can take up hours of your day before you realize. We WANT to rest. We’re tired. But we stay up late scrolling through Facebook or watching TV. We say yes to dinner when we really just want to stay home. And then we wonder why we often suffer from headache and fatigue. We run from work to the gym to the market to daycare pickup. We are go, go, go. And I’m not talking go, go, gadget arm… well maybe I am 😜. Get it? Gadget arm? Holding your phone 📱? 😂🤣… We don’t really rest. We don’t say no. Here’s an idea. Try it. Say no. Take time for yourself. Only do what is going to work for you. We don’t just sit quietly and take it all in. Try this. It’s amazing. It’s good for the soul. Sit outside and watch the clouds ☁️, check out the 🐝 buzzing through the dandelions in your grass. Brush by the lavender in your garden and inhale. You are alive! You are present! I bet your headache is gone! Staring at a screen all day can work your brain more than it should. You leave work after emailing all day and working on screens. You scroll your Instagram feed until 1 AM. We all know you went deep on your ex-friend a time or two (just don’t double-click a pic from 2015). It may seem harmless but it’s making us tired. It’s straining our eyes 👀. It’s keeping us up later than we should be. Try shutting off your screen at 7 or 8 PM. Try reading a book. Have a cup of decaf tea. Slow it down. Easier said than done. Small steps in detaching from the screen will improve your level of energy and let you REST. Give your brain 🧠 a break! You’ll find yourself going to bed a little bit earlier. You will find yourself a little more refreshed. Oh, and make sure your bed/bedroom is your sanctuary (think “phone free and oooohhhhhmmmmmm,” not “last few swipes while in bed”) – check out this NYT article on good sleep habits! If you’re tired and you’re sick 🤒, not just sick and tired 😴 then it’s time to get a check-up. Have you been having fevers? Frequent illness? New night sweats? Maybe it’s time to head into your local urgent care or make an appointment with your regular provider to get yourself checked out. Or just chat with us now! Fatigue combined with other symptoms like fever, pain or illness may need some further investigating. Give your healthcare provider a call. Just remember, most people are tired, and most people are NOT dying. Let’s talk headaches 😩. Everyone gets headaches. Let’s worry about headaches 🤯 when they cause you to wake up from sleep, or if it’s the worst headache of your life, or your headache wakes you in the morning and you vomit 🤮. If headaches are happening more often or if you are having vision changes or blurry vision… Now it’s time to see your provider👨🏽‍⚕️ right away. Any numbness or weakness on one side of your body? Any trouble speaking or understanding people? If so, call your doctor, 911 or go to the ER right away. Many people grind their teeth. You do it in your sleep. You wake up with a headache. You do it when you are stressed. Find the little bump on your ear 👂🏻 (Tragus). Push on the area in front of this on each side of your face. This is the temporomandibular joint (TMJ). Now open your mouth. Does this hurt? If yes, Call your dentist 😄. You might need a mouth guard. It’s a common reason for headaches. It’s a simple fix. Did you hit your head? Fall? Get clocked in the head with a frying pan? Moe from the 3 Stooges hit your head with a hammer? Well, you might have had a concussion. Headaches can often times follow a concussion for days, sometimes even weeks and months. And staring at your phone can make it worse – oy vey! Check out this great CDC article on concussions for more info. If you haven’t checked in with your doc about this stuff and you’re still having headaches, you probably should. Check in with us if you still have questions about headache causes or any other health concerns! Are you squinting at the TV? Do you find yourself squinting when you’re driving? Squinting at the movies 🎥? Squinting at your screen 📱? Maybe you need to get your eyes checked! Eye 👁 strain is another common cause of headache. Try changing the settings on your phone 📱 screen and computer screen 🖥. Here is a great article about ways to give your eyes a break on a daily basis. There! Stop 🛑 reading this article and close your eyes. Your brain 🧠 will thank you, so will your eyeballs 👀. You might even fall asleep 😴. Enjoy the rest. You are going to feel a little better. One less hour of screen time a day! Nurse-1-1 Health Center is written by nurses in a straight to the point type of way to provide basic health information. We get a lot of people like you searching online for answers to health concerns or looking for a hotline to ask a nurse a few questions. Questions like, I have been suffering from headache and fatigue for a while. Should I be worried? What is the main cause of headache in adults? Well we can help. We put some info here for you to find while searching through all that other dry, scary medical information online. Stop that. Read our posts, or chat with us. This is not medical advice or a replacement for medical care, but see what we have to say with our free health information, and hopefully it will stop you from scaring yourself any more than you already have. We can help.